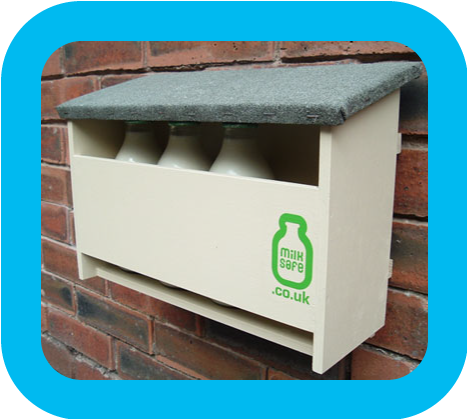 MilkSafe – protect your milk from theft, cats, birds and sunlight. What’s a Milksafe? It’s a milk bottle protector! Milksafe is the only purpose made milk bottle protector that guards against cats, birds, frost and the heat of the summer sun. The optional lock will also deter thieves. 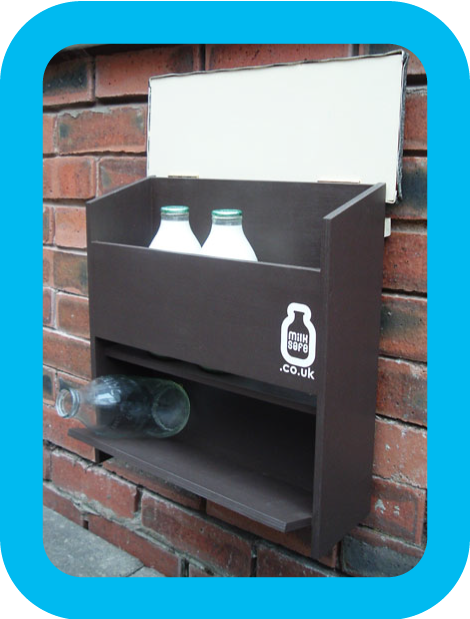 Milksafe is a convenient store for milk bottles, when they are either full or empty. Milksafe holds between 4 (standard size) to 8 (special order) glass bottles. All sizes can be made to order – please ask. We manufacture Lockable and wall hung Milksafes and have also introduced our **Deliverer friendly version. 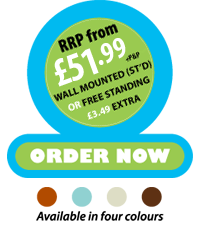 Order now from our secure online store at milksafes which accepts most credit cards, PayPal and takes cheque orders too. A Milksafe body is constructed in 9mm, long lasting birch plywood (grade B or S, often specified for boats). This has excellent weather resistance and is designed to last. 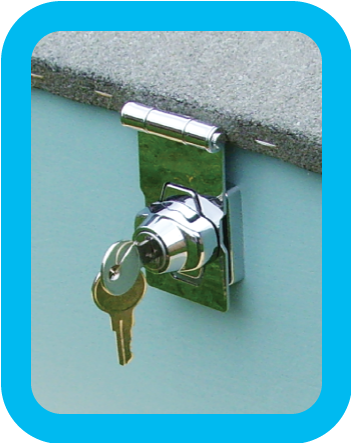 The lid is coated in high grade roofing felt with stainless steel staples, it is fixed with 2 brass hinges. 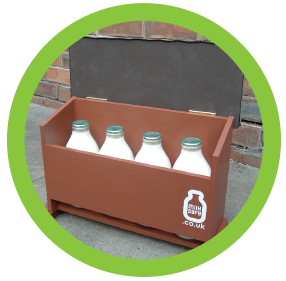 The weight of the lid is enough to protect the milk bottles from prying birds and animals. The lockable Milksafe is left unlocked until loaded, then with a twist of the lock it will lock fast. The householder then opens it again with a key. The Wall-Hung model is held securely by two screws e.g. into brick. Larger sizes are available, please ask. *N.B. The inside of your Milksafe will also be treated. Photos show treated models. Order now from our secure online store which accepts most credit cards, PayPal and takes cheque orders too. Enquiries for bulk priced orders welcomed! Prices correct on April 1st, 2018 – please see our online store for correct up-to-date prices and offers. To make an enquiry use the Contact Us page or email us directly if you prefer.